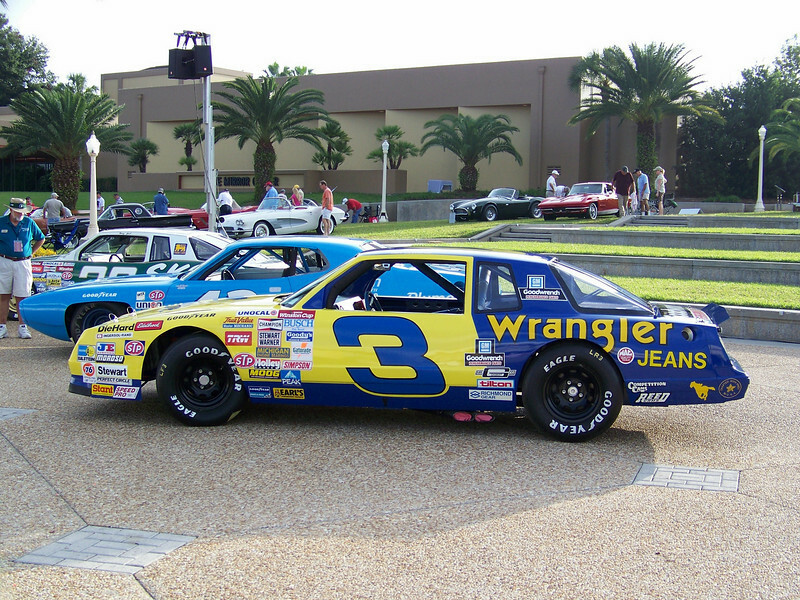 Dale Earnhardt’s 1987 Chevrolet Monte Carlo Aero Coupe (No. 3 -Wrangler). The Dale Earnhardt car won 5 Winston Cup Championships and was made famous for his “Pass in the Grass” at Charlotte Motor Speedway in 1987. Owned by Bill Tower from Pant City, FL.